The weight of insulation is becoming increasingly critical for today's congested industrial sites. For some sites, turnaround and maintenance schedules can be negatively impacted by space and weight limitations—just think about the use of cranes where space is restricted as an example. 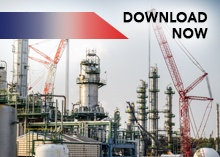 In this post, we focus on the weight of thermal insulation, including when it becomes an important consideration for refinery and chemical processing engineers. Spherical tanks are an efficient option for storage of pressurized liquids and gasses; their iconic shape is instantly recognizable in refining and chemical processing facilities throughout the world. Detecting corrosion under insulation on a sphere might be enough to ruin your day, but it is not an unexpected outcome, especially on older tanks with conventional cold insulation. However, upon closer examination, you'll notice that these spheres rest on an array of steel legs—steel legs commonly encased in concrete for passive fire protection. Over the years, water can intrude between the steel legs and the concrete protection, leading to what is known in the industry as “corrosion under fireproofing” or CUF. As a result of water intrusion and CUF, the integrity of the sphere's legs, especially on older spheres, is not always certain. And that's a serious concern for engineers and plant personnel. Even more concerning is the weight that sits atop those legs. Cryogel flexible aerogel blankets are engineered to deliver maximum thermal protection with minimal thickness and, of course, weight. Take for example the difference in weight of an 82ft (25m) sphere insulated with Cryogel aerogel blanket versus a cellular glass option. At the same level of performance, the Cryogel option would weigh a whopping 8 tons (~8000 kg) less. That's the equivalent of four pickup trucks parked on top of your sphere. Of the many advantages offered by Cryogel, including durability, flexibility and time-saving construction, reduced weight gives peace of mind to refinery and chemical processing engineers who are concerned with the integrity of supports in older spherical tanks. Without added bulk or weight due to the thin and ultra lightweight nature of Cryogel insulation, you can insulate a sphere, defend against CUI, and reduce the static load on the legs. 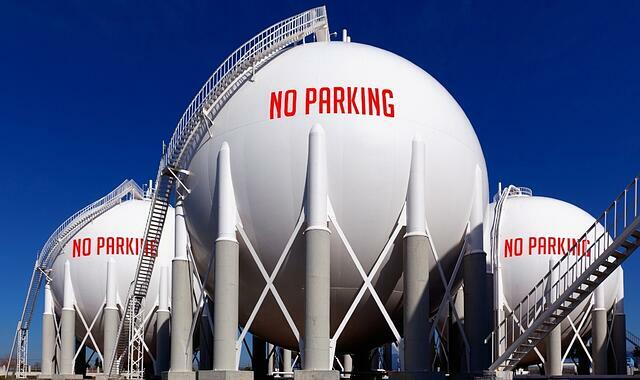 After all, spheres should be no parking zones for unnecessary weight. Want to learn more? Contact us. Interested in discovering more about how using our products can save significant time during a turnaround? Download our brochure. If you ever wanted to know more about aerogels and the important role they play in our world, this is the blog for you. We’ll shed light on these remarkable materials, starting with our breakthrough innovations in silica aerogel blanket insulations. Join us as we venture into a world where aerogels made from a variety of materials play critical roles in energy storage, natural resource preservation, and more. Welcome to our Aerogel Technology Platform. Welcome to Aspen Aerogels.